What brings you back to the Ocean Road 10K each year, and what do you love about the race? The Ocean Road 10k is a bit of a home course for me, I typically do my long runs with my buddy Phil up and down Ocean Road on Sundays. So it’s super familiar which is always helpful when you’re racing. Also I can never get enough of running by the Ocean. I know we’re a little spoiled here in Rhode Island but the views at this race are tremendous. They definitely lend themselves to some sweet Insta pics. Aside from the views the race is super well organized and always goes off without a hitch. Eric Lonergan cruises across the finish mat in first place, for the second year in a row. You’ve won the Ocean Road 10K twice in a row! What’s that like? It’s pretty cool! As a somewhat competitive runner, I know it always depends on who shows up that day so I typically don’t measure my performance in victories. I know what work I’ve put in and know what times I should be able to hit on race day. So I’m super pumped when I hit those times! 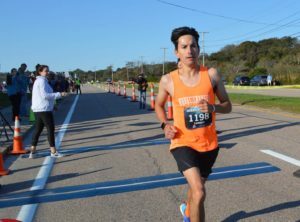 I managed to do that at the Ocean Road 10k these past two years and the win is icing on the cake…some really good icing! 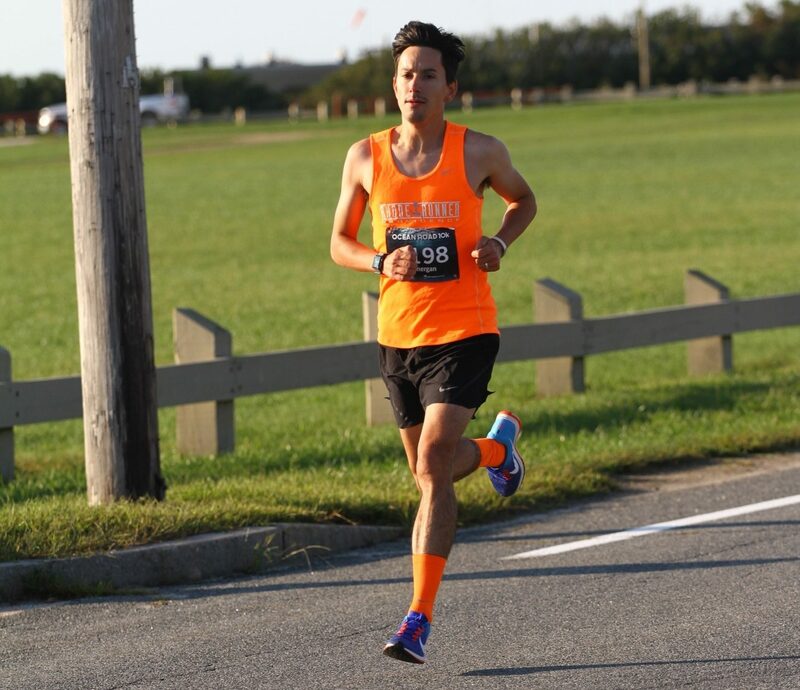 What do you love about the 10K distance? I like the 10k distance because it’s a distance you can settle into. It’s not so short where you’re red-lining the entire race like the 5k and it’s not so long where you’re running out of gas like the Marathon. It’s pretty perfect. What does your pre-race prep look like? I try not to mix up my diet too much before a race so dinner will be whatever is planned, usually chicken, rice, veggies or something along those lines. Breakfast, I’ll do a bagel with some peanut butter. Typically Ill warm up around 30 minutes before race time with a mile or two jog and a dynamic warmup, I’ll do a few quick strides to get the legs feeling a faster pace, then over to the start and we’re racing! If you played professional baseball, what would your walkout song be?